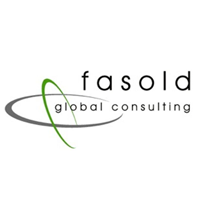 Fasold Global Consulting is an international one-stop coaching firm offering a broad range of coaching and training services focused on improving performance, productivity, and profitability of individuals as well as small businesses and corporations. Fasold Global Consulting works one-on-one with each client to quickly identify roadblocks that limit success. Then, a custom-developed, step-by-step plan is implemented to systematically overcome obstacles and ensure scalable and sustainable results, freeing the individual or organization to attain goals that were previously unattainable. Fasold Global Consulting has built a reputation for providing top-quality results in 25 countries around the world, and across nearly every industry and in a variety of economic conditions.